Heat oven to 375° F. Stir soup, water, rice, onion powder, black pepper and vegetables in a shallow baking dish (2 quart). 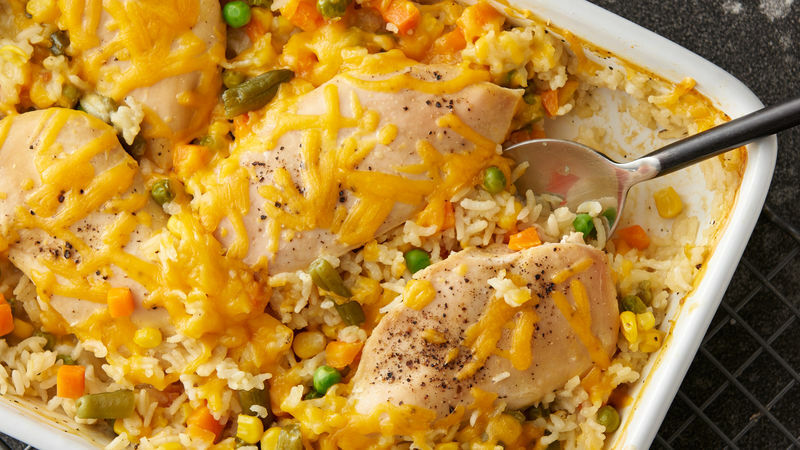 Place chicken breasts on top of rice mixture. Season as desired. Cover the baking dish and place in oven. Bake 45 minutes or until the chicken is cooked through and the rice is tender. Top with the cheese. Let the casserole stand for 10 minutes before serving.